River Bend House, a senior living community in the heart of Wheelersburg, received a Deficiency Free Survey from the State of Ohio for 2013. This is the acknowledgment by the state recognizing the residence’s quality outcomes. At regular intervals the state conducts a survey that evaluates all aspects of service and care provided by licensed assisted living residences. “We are proud to have received what is considered to be the best possible score on our evaluation. Our staff has worked extremely hard to maintain the high standards of the company and provide quality care and services to our residents” stated Kelly Ramey, Executive Director of River Bend House. 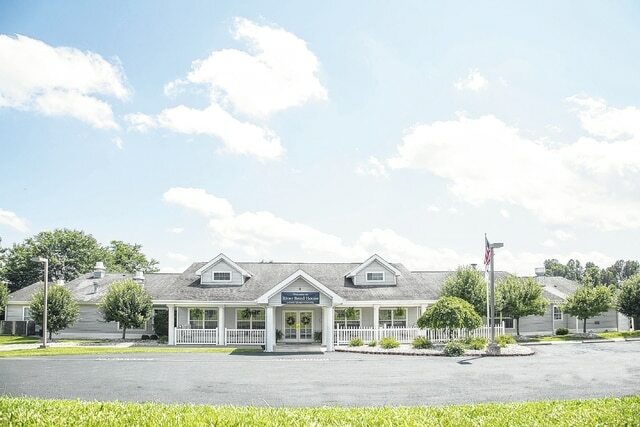 River Bend House is a senior living community that promotes independence and individuality with private apartments, restaurant style dining, and social activities. Residents enjoy the freedom and advantages of living independently in an environment surrounded by friends and a caring staff. River Bend House is located at 900 Pirate Drive in Wheelersburg. River Bend House would like to personally thank every one of their staff members for helping earn the Deficiency Free Survey. Their dedication and compassion for each resident shows in the excellent job they do on a day-to-day basis.